The Great Himalaya Trail which is one of the world highest and longest footpaths is more adventurous destination in any of other trekking. Spanning several hundred kilometers of amazing Himalayan terrain, this trail stretches over the full length of Nepal. For those looking for the cutting edge of adventure trek, Nepal’s Great Himalaya Trail (GHT) presents the opportunity of a lifetime. The trail itself passes through some of the most beautiful parts of the Himalayas – winding under the highest mountain peaks in the world. You can trek, run or bike the trail, take the high route and challenge yourself with some mountaineering, or try the lower route and travel from village to village. It is the most dramatic, traversing the entirety of Nepal from east to west in the shadows of the world’s highest peaks. The Great Himalaya Trail will provide you with a truly unforgettable outdoor adventure of a lifetime. Though, the route is not official (unavailable for trekking), Robin Boustead in 2008 for the first time completed the Nepal section and proposed an idea of it being the longest trail, if developed accordingly. The major purpose of developing this trail is to bring benefits of tourism and develop livelihoods in remote mountain communities. Potentially, the longest and highest walking track in the world, the long- term vision for the trail is to develop it further, to cover more than 4,500 km of the Great Himalayan range, connecting six Asian countries- Pakistan, China (Tibet Autonomous Region), India, Nepal, Bhutan and Myanmar. You can trek, run or bike the trail, take the high route and challenge yourself with some mountaineering, or try the lower route and travel from village to village. The formation of a trail along the Greater Himalaya Range was precluded by access restrictions to certain areas in Nepal, Tibet and Bhutan requiring detours into the mid-hills away from the Greater Himalaya Range. With time these access restrictions were eased or lifted, and in 2002, with further restrictions being lifted in border areas of Nepal, it became feasible for the first time. After years of research, documentation, and mapping, the concept of Great Himalaya Trail was walked for the first time in 2008 and 2009 by a team led by Robin Boustead. The first trip ran from February through August of 2011 and was completed successfully in 157 days. There are two routes encompassing the Great Himalaya Trail: the high route and the low route. True to its name, the high route winds its way through 3,000 to 5,000 meter high terrain, with the Himalayan giants watching over as you trek your way through snowy paths with very few trees and villages along the way. The low route, on the other hand, though not as challenging as the high route is more culturally stimulating, as it passes through numerous Nepali villages and communities. 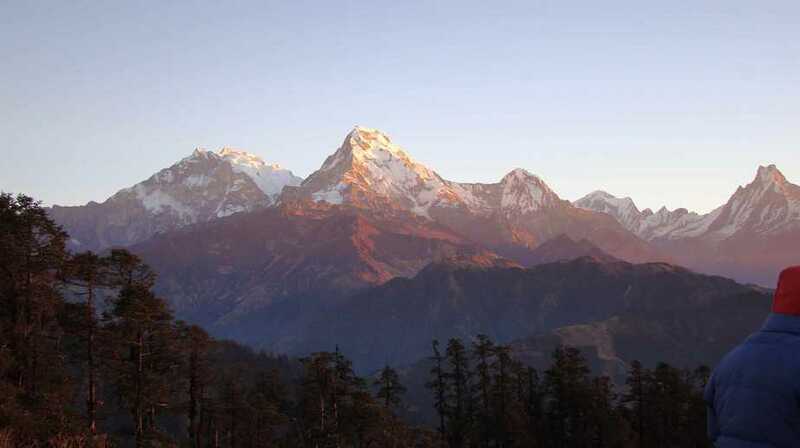 However, you may not get as intimate views of the Himalayan peaks as you would on the high route. You can of course, alternate between the high and low routes at various points during the full trek. Trekking along the GHT high route makes for an unforgettable adventure and the trip of a lifetime. The proposed trail would stretch over a distance of about 1,700 km and passes through spectacular, high altitude mountain landscapes, visiting some of the most remote villages on earth, where life remains as it was centuries back. Trekking along the GHT high route requires to cross high passes with altitudes up to 6,146 m and the whole trek takes about 150 days on average. Proper trekking gear and mountaineering equipment is needed and anyone attempting this trek should be physically fit and have trekking and ideally some mountaineering experience. For safety, a local mountain guide who knows the terrain is definitely recommended especially in high altitudes. Due to the remoteness of the proposed route, camping is required for most parts of the adventure therefore a tent, food and cooking equipment is necessary. The GHT low route – also called the cultural route – winds through the countries mid hills with an average altitude of 2000m. However, there are many passes to cross with the highest being the Jang La at 4519 m between Dhorpatan and Dolpa in West-Nepal. Trekking along the proposed GHT low route means walking through beautiful lush forests, pastures, green rice terraces and fertile agricultural land, providing the basis for Nepal’s rich culture and civilization. You will come across local settlements of many different cultural groups, giving you the chance to see what authentic Nepali village life is all about. For most parts of the trek, you’ll be able to stay in small guesthouses or home stays, but make sure to still take your tent for some of the more remote sections of the route. With lots of local restaurants around, trekkers will find a place to eat almost everywhere and so will not necessarily need to carry large amounts of food. Shorter than the high route, the GHT low route stretches over a distance of 1,500 km and the whole trek will roughly take around 100 days.